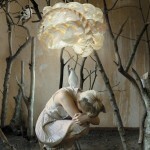 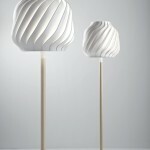 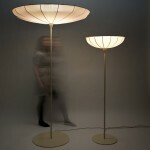 Design firm 24° Studio have created Airy, a collection of lamps that are made using Japanese rice paper. 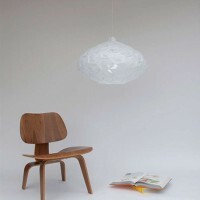 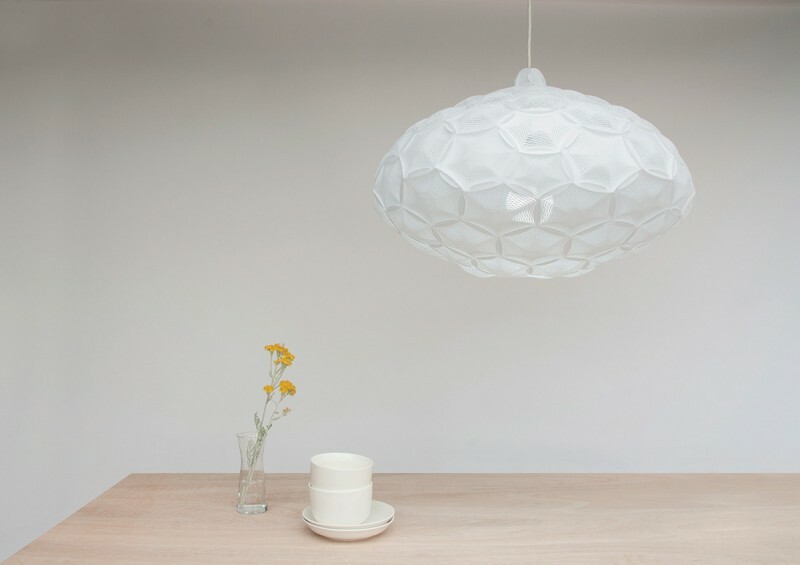 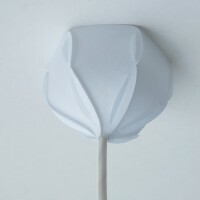 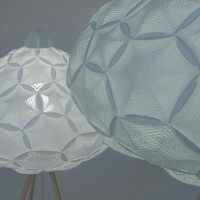 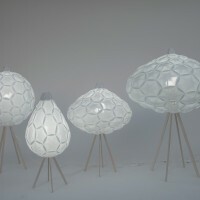 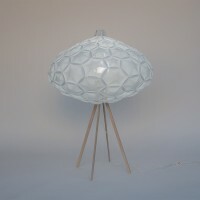 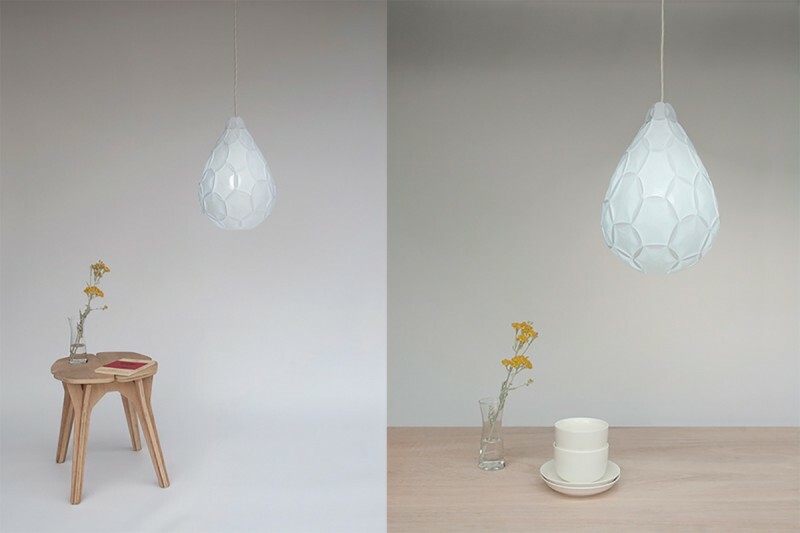 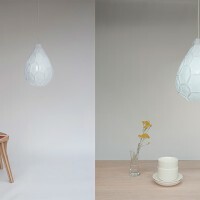 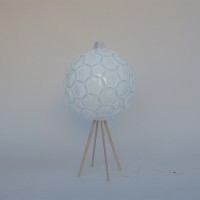 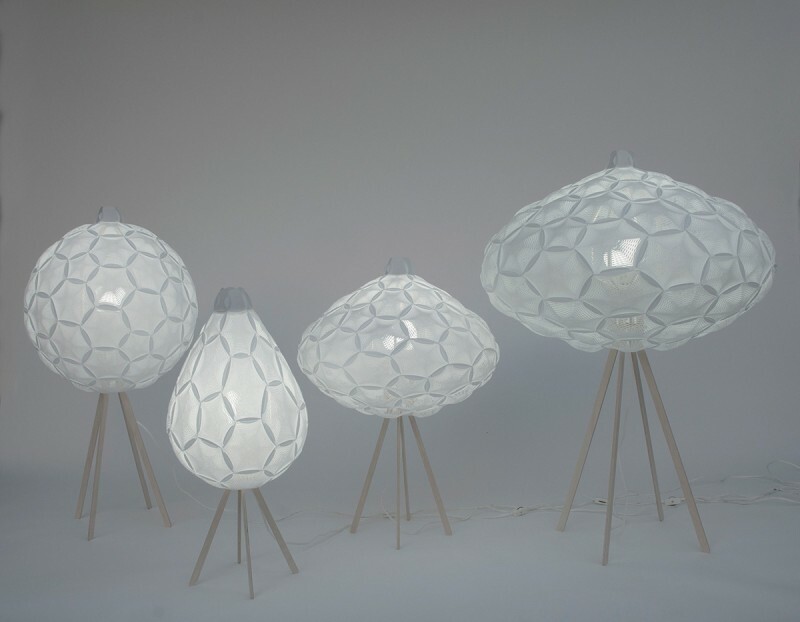 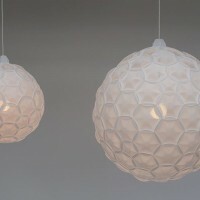 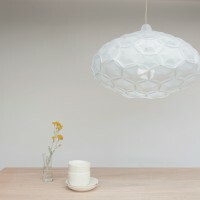 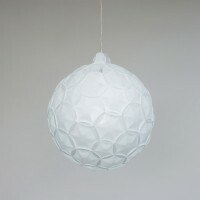 Airy is a lamp that uses laminated Japanese rice paper as a main material. 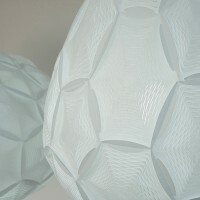 Lamination on the surface makes the paper prone against tearing, tarnishing and fire-retardant. 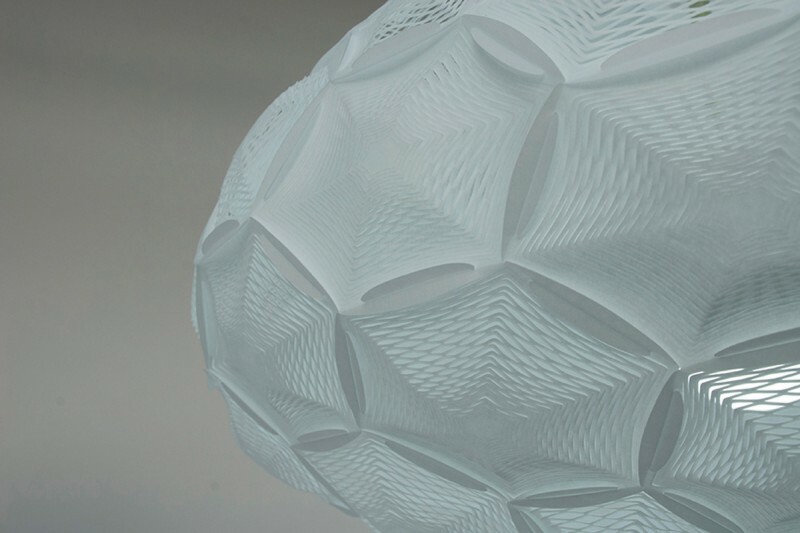 A simple slot-in assembly is required to complete the kit consisting of five and six-sided panels with finely cut perforation pattern. 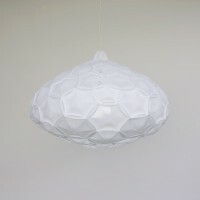 This allows Airy to be shipped flat-packed to save on packing materials. 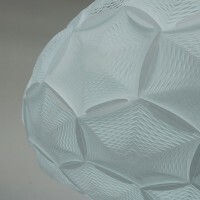 The finely cut perforation pattern in each panel allows the end users to extrude each panel into a desired form. 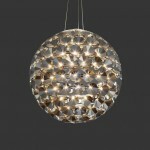 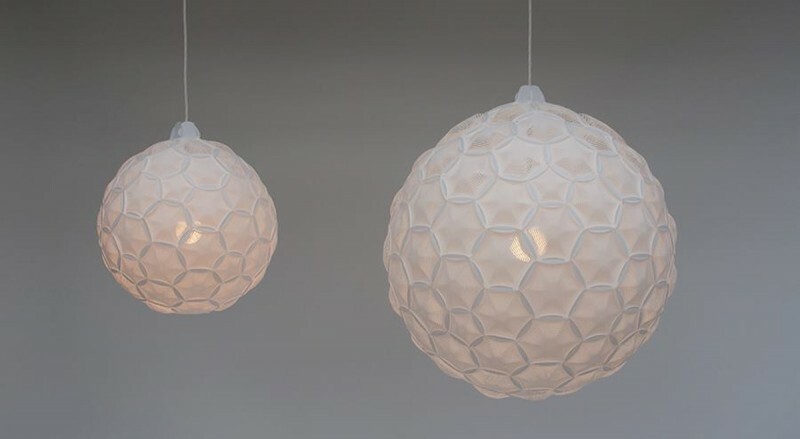 Available in four sizes (small, medium, large, and medium sphere) and two styles (pendant and floor lamp), Airy kit also includes a laminated Japanese rice paper ceiling cap, shade holder, and socket. 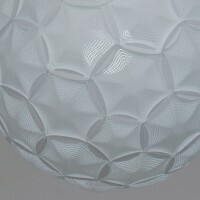 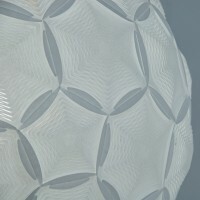 While maintaining the characteristics of the rice paper that provides soft diffused light effect, geometrical pattern brings unique experience to the space when Airy is lit.